WILLIAMSTOWN, Mass., December 3, 2018—Williams College student Kai Cash ’19 has been named a Schwarzman Scholar and will join the program’s fourth cohort of students since its inception in 2016. Schwarzman Scholars is a highly selective, one-year master’s program located at Schwarzman College at Tsinghua University in Beijing that aims to prepare the next generation of global leaders for the challenges of the future. Cash was among more than 2,800 applicants from 38 countries and 119 universities around the world to compete for 147 spots in the class. During his year in the program, which begins August 2019, Cash will pursue a master’s in global studies focused on public health and will explore how China’s culture, politics, and economy impact public health issues in that country. With an interest in equity, entrepreneurship, teamwork, and technology, Cash hopes to build on his experience as a Schwarzman Scholar to someday found an organization that improves the living conditions and health for disenfranchised communities. Hailing from the Bronx, N.Y., Cash is an economics major with a concentration in public health. As an undergraduate at Williams, he discovered an interest in working and sharing ideas with people to craft solutions and that he is motivated by tangible outcomes. Last summer Cash participated in Harvard Business School’s Summer Venture program, and he completed an internship at CapitalG (formerly Google Capital) in San Francisco. He also did an internship in 2016 at the Abdul Latif Jameel Poverty Action Lab in New Delhi, India, where he worked on a randomized control trial surrounding tuberculosis detection and learned about public health issues facing that country. “The Schwarzman Scholars program will provide me with a community of like-minded individuals who will hold me accountable and push me to be a better student and leader,” Cash says. 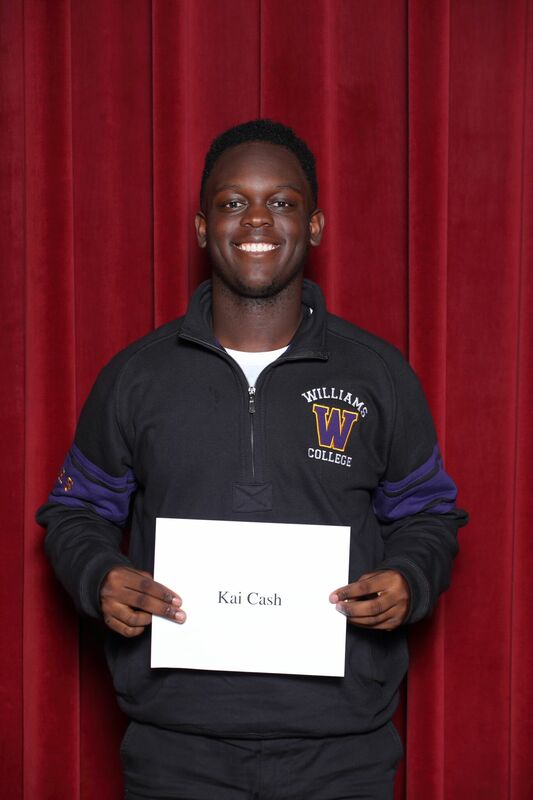 At Williams, Cash currently serves as class president and is the co-founder and former president of the Williams College Business Association. He is also a co-founder of the Williams Professional Association, which empowers students, especially those from historically underrepresented communities, to find meaningful careers after Williams. 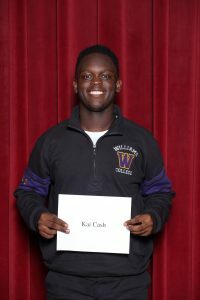 In addition, Cash is a student trustee for the Williams College Gaudino Program, which advances education by promoting active learning, combating fragmentation of knowledge, and assembling an open community of learning characterized by integrity, mutual respect, and rigorous intellectual endeavor. Schwarzman Scholars was inspired by the Rhodes Scholarship, which was founded in 1902 to promote international understanding and peace, and is designed to meet the challenges of the 21st century and beyond. Blackstone Co-Founder Stephen A. Schwarzman personally contributed $100 million to the program and is leading a fundraising campaign to raise an additional $350 million from private sources to endow the program in perpetuity. The $450 million endowment will support up to 200 scholars annually from the U.S., China, and around the world for a one-year master’s program at Tsinghua University in Beijing, one of China’s most prestigious universities and an indispensable base for the country’s scientific and technological research. Scholars chosen for this highly selective program will live in Beijing for a year of study and cultural immersion, attending lectures, traveling, and developing a better understanding of China. Admissions opened in the fall of 2015, with the first class of students in residence in 2016. Learn more at www.schwarzmanscholars.org, like them on Facebook at www.facebook.com/SchwarzmanScholars and follow on Twitter at @SchwarzmanOrg.